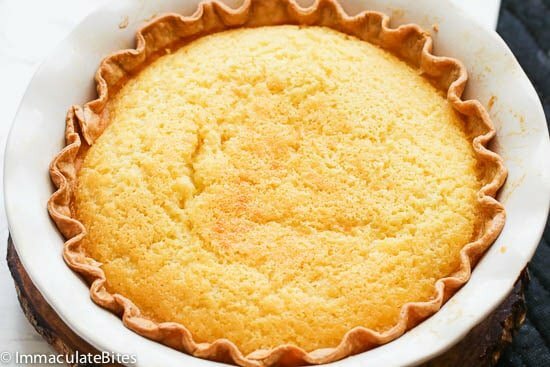 Buttermilk Pie – classic Southern pie recipe that comes together quickly and easily made from pantry staple ingredients. 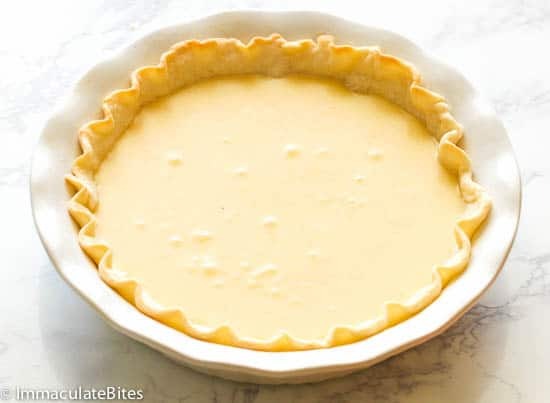 A light creamy custardy pie with a heavenly sweet and a little tangy flavor. Great for holidays or whenever you want to. 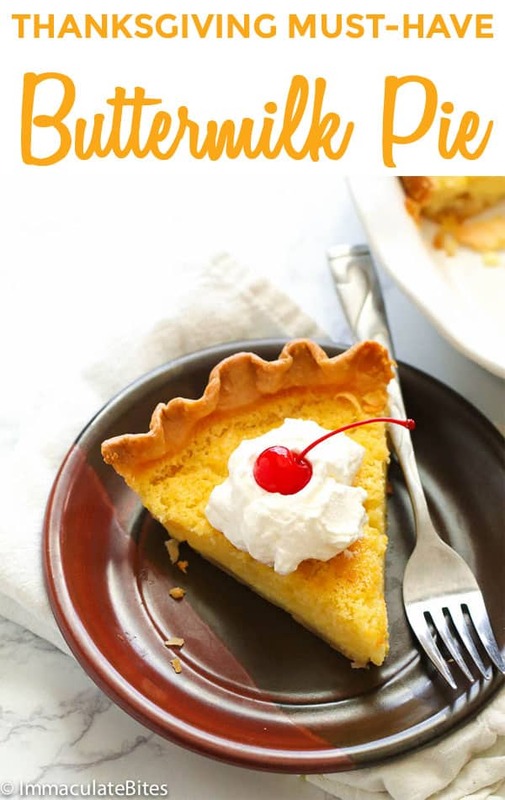 It was just until recently that I realized how buttermilk is a staple in my fridge yet I haven’t shared this lovely buttermilk pie recipe. I use buttermilk a lot, especially in baking, like this flaky buttery buttermilk biscuits. Aside from that I also use buttermilk in my homemade salad dressings like this low-fat ranch dressing to amp its flavor. And do you know buttermilk is also use to soak chicken or any meat alike to tenderize them? Buttermilk has tons of uses in my kitchen. So what’s buttermilk pie? Does it have an overpowering buttermilk taste? 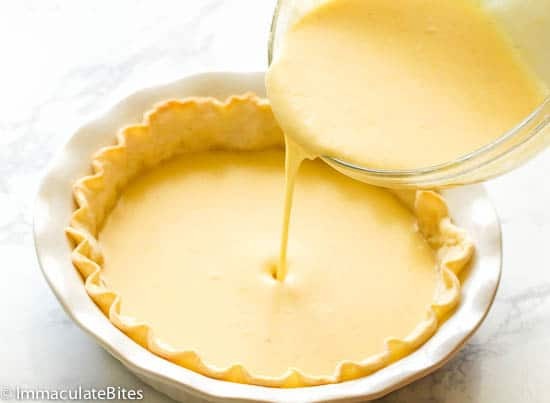 Buttermilk pie was originally from the U.K. and has since then became a traditional pie in the southern part of U.S. It’s a custardy pie with a filling usually made of sugar, buttermilk, eggs, butter and a bit of flour. Some variations of this recipe would use flavorings like nutmeg, vanilla, lemon juice and/or lemon zest. The filling is then poured into the assembled crust and baked until the filling fully sets in. 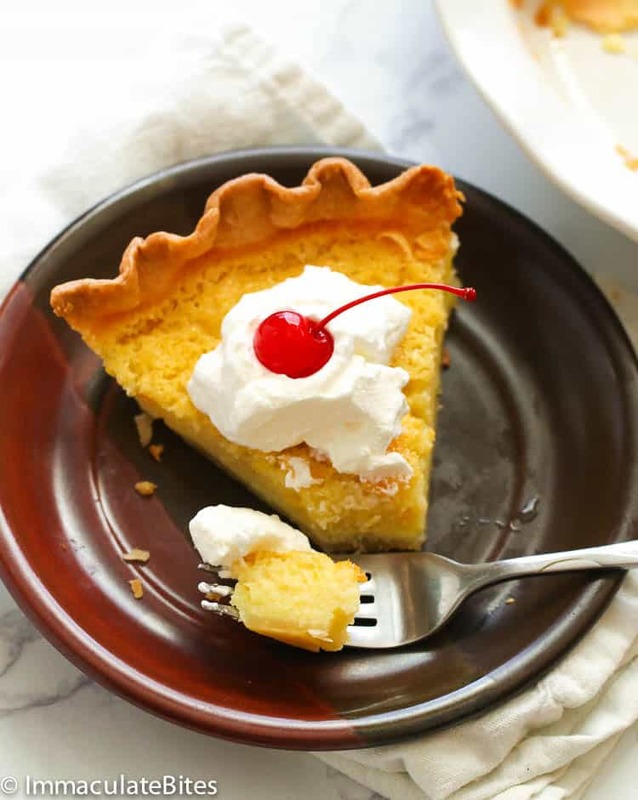 Should buttermilk pie be refrigerated? 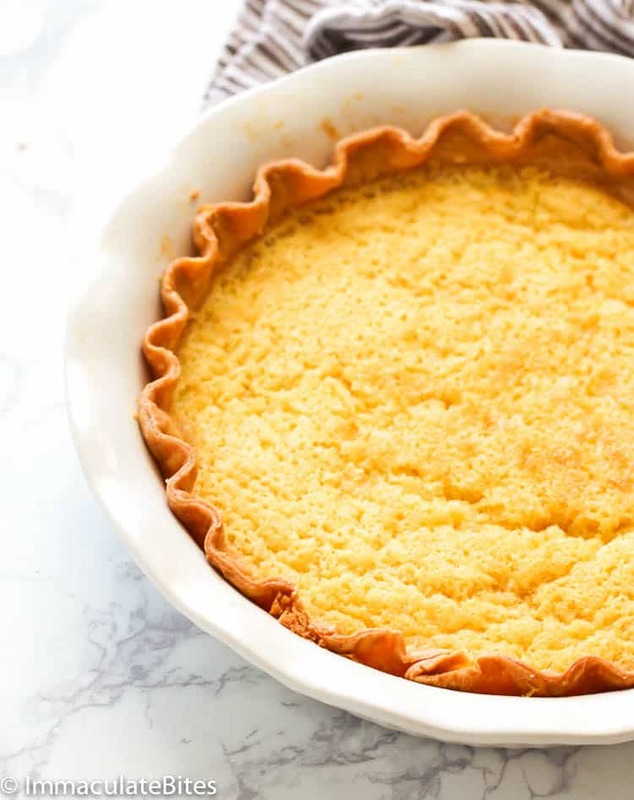 The buttermilk pie will last longer if refrigerated, but it certainly will not spoil even if you leave it at room temperature for a day or two. 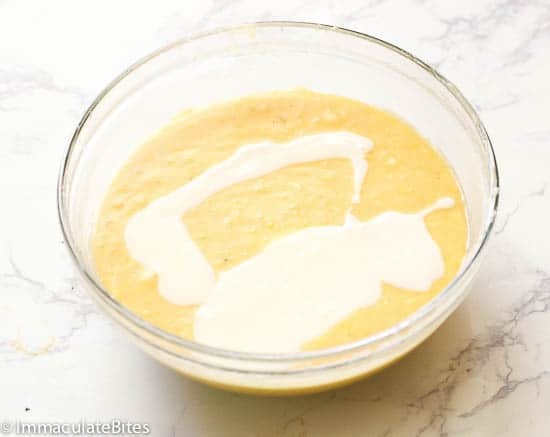 Although, people are accustomed to putting their buttermilk in the fridge to avoid spoilage, the interaction of sugar and the lemon juice with the buttermilk will delay spoilage. But hey, I doubt if there’ll be anything left to put in the fridge. 😉 It’s a sensational pie that it flies off the table quickly! 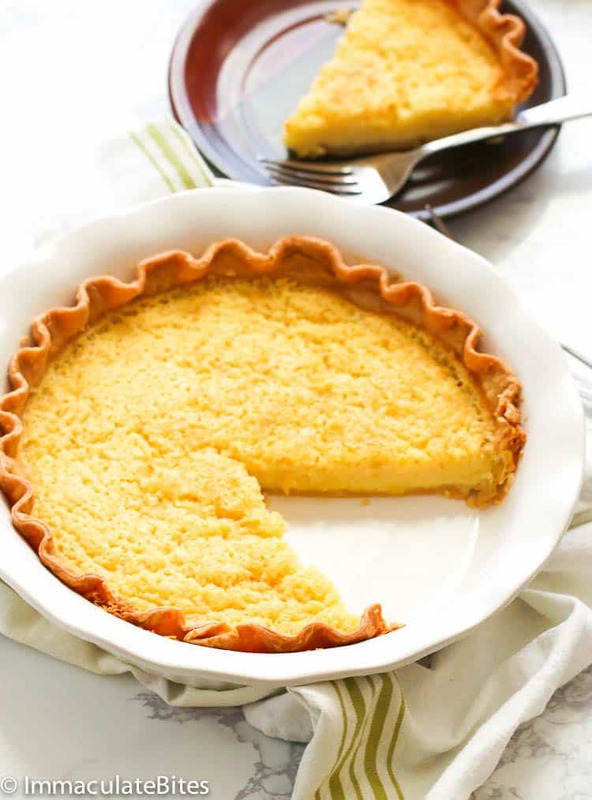 Do you eat buttermilk pie hot or cold? Okay, this is where most people couldn’t seem to agree on the same thing. I personally prefer my pie a little bit chilled, but others would swear that it’s best eaten at room temperature. So it’s all about the preference. Just make sure tho to let it cool down first after baking for 2-4 hours before popping it in the fridge. Aside from this holiday must-have Monkey Bread and Pecan Pie, this buttermilk pie would also be perfect to serve during Thanksgiving day or for Christmas. But don’t wait ’til the holidays to whip this up. It’s always best to indulge in this every once in a while. You deserve that, too! When using pineapples, make sure to drain them well so it won’t let the crust get soggy. If using canned pineapples packed with syrup, you may cut back on the sugar to just a cup. Unroll pie crust. Cover the bottom a 9.5-inch pie plate or deep dish pie pan. Trim edge, leaving a 1/2-inch overhang. 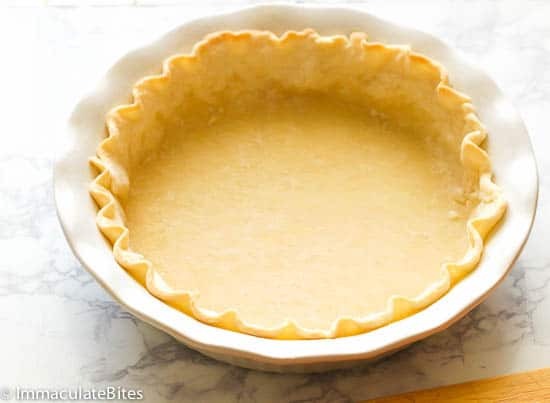 Fold overhang under and lightly press against rim of pie plate, then crimp decoratively. 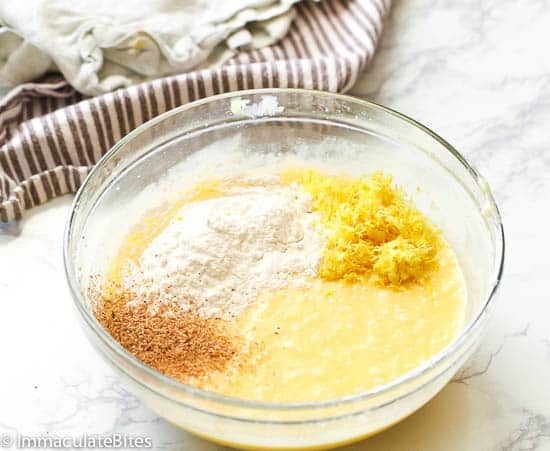 In a medium bowl whisk together butter and sugar until light. 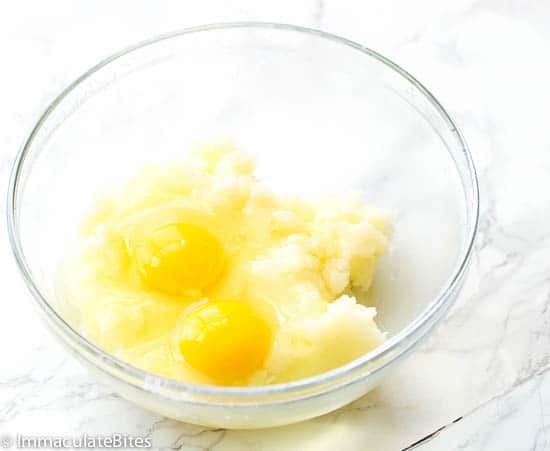 Then add eggs, vanilla and continue mixing. Stir in flour,, lemon zest ,nutmeg and salt and continue beating until smooth . Then add buttermilk, followed by pineapple , if desired. Pour mixture into a prepared pie pan and bake at 400F for 10 minutes, reduce heat to 350F and bake for 50-60 additional minutes. Pie should turn a nice golden brown and a tooth peak inserted should come out clean. Let it cool for at least an hour or more before serving. If adding pineapple you might have to cool longer. Serve at room temperature with whipped creamed. Preheat oven to 350 degrees F (175 degrees C). Unroll pie crust. Cover the bottom a 9.5-inch pie plate or deep dish pie pan. Trim edge, leaving a 1/2-inch overhang. Fold overhang under and lightly press against rim of pie plate, then crimp decoratively. Bake at 400F for 10 minutes, reduce heat to 350F and bake for 40-50 additional minutes or until set . 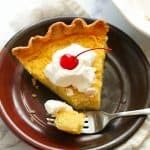 I have had dreams about this pie because it reminds me of trips South to Georgia to visit my grandmother and family when I was a little girl. There usually was always one waiting. No one I know in my area makes it. I plan to make another one in a few days. Thank you soooooo much. I love it. Sorry, I haven’t experimented with other variations. So can’t say with all certainty. This is in the oven right now and smells so good…a little concerned that the middle is still jiggly though. Lower the temperature and let it bake until tooth pick inserted comes out clean. Hello, this pie looks yummy. Kindly check #6, you add ‘buttermilk’ not butter. 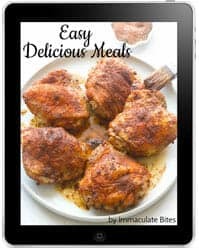 Your blog is my go-to for recipes. Keep it up! Thanks for pointing it out, Nana. Updated the recipe box already. I just came across your blog.. Amazing recipes.. 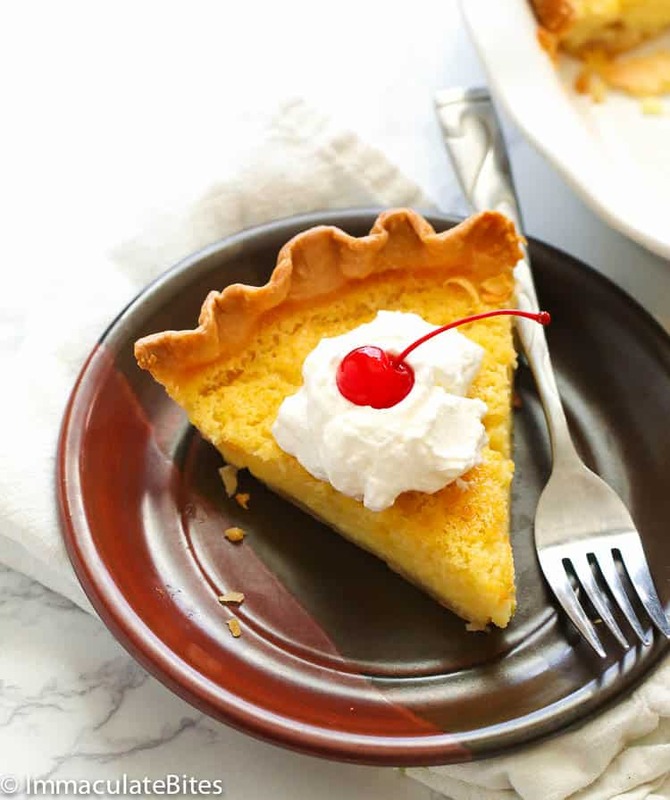 This buttermilk pie looks incredible and love how simple it is to make.. So delicious.. Thank you. Welcome aboard, Arpita! Hope you’ll give this one a try.